Fundraising for The Lullaby Trust at work is a fantastic way to engage your staff, build team relationships and create a sense of community in the workplace. Your dedicated account manager will design a bespoke calendar of events, tailored to your company, with opportunities for employees to take part in fantastic events such the Great North Run and RideLondon. Our companies have achieved fantastic challenges through staff fundraising, and they’ve had a great time while doing it! “Having started off the year with the challenge of a new job, the London to Brighton walk was a chance to challenge myself further both mentally and physically. I’ve never done anything like this before or challenged myself this much! I have put in the training and am now very much looking forward to the event! 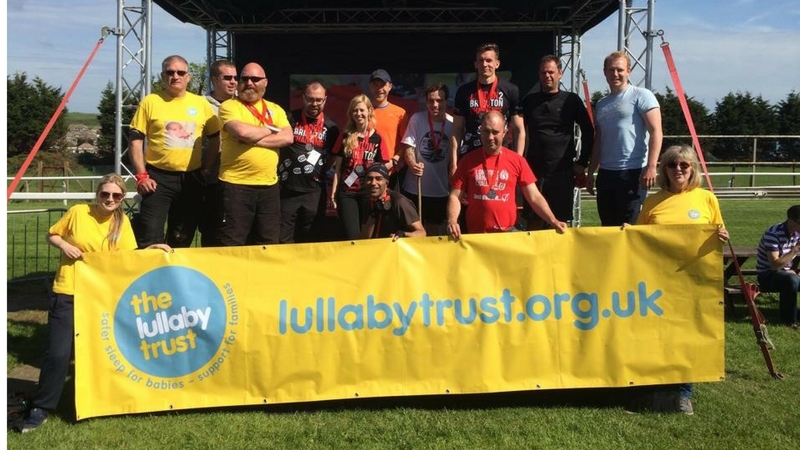 We are raising money for a fantastic cause and its great to be able to play a part in this!” – Peter, from Crabtree Property Mangement, who took on the London to Brighton challenge to help the company achieve their target of raising £30,000 for The Lullaby Trust. Whether you’re a keen runner, expert baker or just looking for a great team building activity – we have something for everyone! Plus, as a small charity, we provide a personal touch to every Employee Fundraising Partnership. Money raised from staff fundraising makes a substantial difference to our work, so if you’re looking for an exciting new challenge, which will make a real impact, then get in touch with our Corporate Team today.